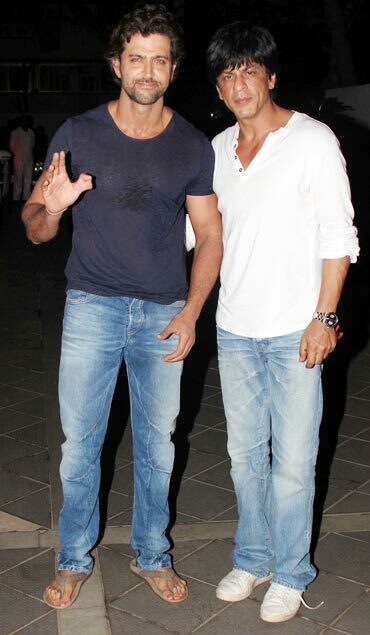 Bollywood stars descended at Sanjay and wife Maheep Kapoor's residence in Juhu, a western suburb of Mumbai, to celebrate the latter's birthday last evening. Maheep is a close friend of Gauri Khan and Susanne Roshan, so it's no surprise that their respective husbands Shah Rukh Khan and Hrithik Roshan got together for the big bash. Birthday girl Maheep Kapoor greets friends Anu Deewan and Sunny Deewan as they walk in. 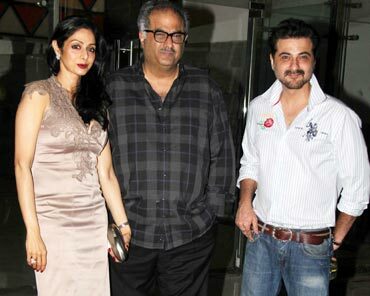 Film producer Boney Kapoor was present with wife Sridevi, and were greeted by brother Sanjay Kapoor. Sonali Bendre, who looked stunning in a turquoise dress, arrived with director husband Goldie Behl. Dressed in a cute top and shorts, Amrita Arora looks all ready and excited to kickstart the party as she holds on to friend and fashion designer Vikram Phadnis and brother-in-law Arbaaz Khan. Karisma Kapoor strikes a pose for the shutterbugs on her way to the bash. 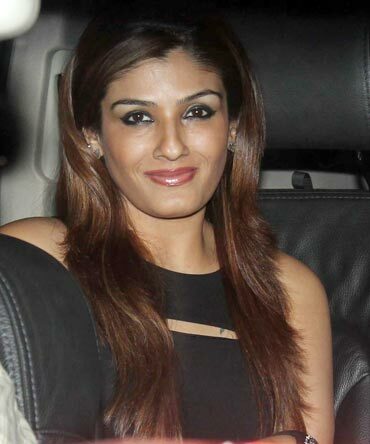 Raveena Tandon smiles for the camera as she arrives at the party. Neelam Kothari and Samir Soni still seem to be baking in their post-wedding glow as they walk in for the party. 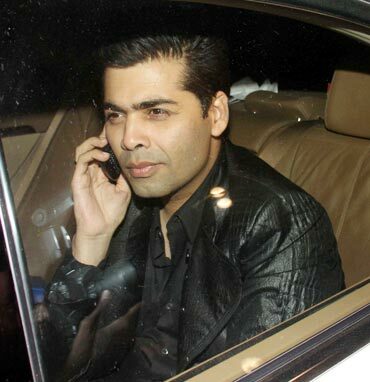 By the look of it, something has really caught Karan Johar's attention as he makes his way towards the Kapoor residence. Actor Zayed Khan, who has opened a film production house with friend Dia Mirza, arrives with sister Farah Khan Ali.